With a balance of both city scape and natural scenery, an experienced Xiamen tour guide is just what you’ll need to explore the rich culture and attractive landscape of one of the oldest and major seaports since the ancient times. As it holds true to it’s name, which means a “gate to China,” the sub-tropical climate is an ideal tourist destination to experience the civilization that has been there for thousands of years. 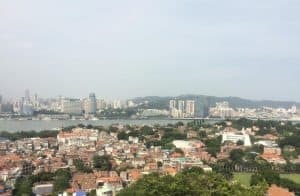 The world famous natural landscape offers small islands, including the remarkable Gulangyu Island, which are available to visitors who visit the city with beaches to unwind on, mountains to climb and gardens to explore. Due to the island’s fresh air and clean environment, the area is also known as the “egret island” for its vast population of the bird. However, if bird watching isn’t for you, the distinct oriental culture and southern Fujian features will capture any visitor with its convenient transportation, star-rated hotels and local products that would be appealing to your shopping list. Enjoy this modern and vibrant city that flourishes with tourists each year to enjoy its ever-growing list of entertainment centers to go to, museums to inspect, temples to examine, local festivals to partake in and a history to dive into. While booking your upcoming Xiamen trip, make sure to request a free quote on the right hand side of your page so that you can have the best interpreter and tour guide to accompany you on your trip to make it your most enjoyable and comfortable experience. Please note that, I am an individual tour guide, not a travel agency, nor a company. USD 100/per day is just for my services. The price doesn’t include the tickets to the tourist attractions or the transportation as the whole tour is changeable according to customer request. You may want to take public transportation instead of a private car or taxi, or don’t want to visit all of the places that require tickets. About the transportation, taxi is recommended. Private car is not really necessary as Gulangyu island is car-free. Taxi in Xiamen is cheap and convenient; bus can also be a better choice. But if you require a private car, I can arrange it too. Please contact me with the tourist number and places to go, I will quote accordingly. To hire a Xiamen tour guide just fill out the form on this page to request a free quote.